With over 2400 Square miles of Fun, the Poconos Mountain of PA have many great places to eat. From Fine to Casual Dining. Here's our list of the Best Places To Eat in the Poconos 2018. What you'll find listed below, while not complete, is a pretty comprehensive list of Poconos Restaurants. The Sycamore Grille **** Main and Oak Streets, Delaware Water Gap PA,. 570-426-1200 - Say "I Found you on Poconos Best". Barley Creek Brewing Company *** Sullivan Trail, Tannersville, PA - 570.629.9399 - Say "I Found you on Poconos Best". A micro brewery restaurant. Serving lunch, dinner and late night fare seven days a week from 11:01am to at least 10:00pm. Free brewery tours daily at 12:30 pm and free beer tastings after the tour. Ehrhardt's Waterfront Restaurant & Banquet Center ***- Rt 590, Hawley, PA 570-226-4388 - Say "I Found you on Poconos Best". Roasted Tomato Diner ** Greentree Drive, I-80 Exit 308 East Stroudsburg , PA 18301 - 570-424-5451 Say "I Found you on Poconos Best". 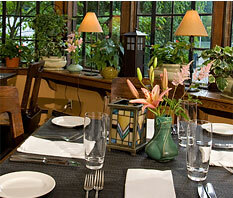 John Stroud House Restaurant,** Hickory Valley Road Stroudsburg , PA 18360 Say "I Found you on Poconos Best". Mama Bella's Tuscan Grille ** Route 209 & River Road inside Fernwood Hotel Bushkill , PA 18324 - Say "I Found you on Poconos Best". Mama Bella's offers homemade Italian cuisine with entrees starting at just $9.95 including an unlimited bowl of pasta sauced your way, specialty appetizers and a full range of Italian favorites. Peppe's Bistro **** Eagle Valley Mall, Coroner of Rts 447 and Rt 209 East Stroudsburg, PA 18301 570-421-4460 - Say "I Found you on Poconos Best". Relax among our cozy brick arches and candlelight. New cafe' bar menu available in the lounge. Large wine lists, children's menu, and private room available, Reservations welcome. The Settlers Inn at Bingham Park Restaurant ****- 4 Main Avenue Hawley , PA 18428 - 570-226-2993 Say "I Found you on Poconos Best". A luxury craftsman style lodge with artfully decorated guest rooms and an award wining farm to table restaurant. PoconosBest.com - Best Family Restaurant - Alaska Pete's Rt 209 North of the Marshalls Creek Exit (#309) of Rt I-80 570-223-8575 - Say "I Found you on Poconos Best". In the mood for some wonderful food? At Alaska Pete's they pride themselves on the great staff and service that is second-to-none! From the large salad bar, to the delicious steaks, they do work hard for you. In the mood for a quick burger? They have them along with many other "quick bites". Did we for-get to mention the fresh fish with emphasis on King Crab Legs? Alaska Pete's prides itself with all fish cooked up fresh, seasoned and served to fulfill your appetites. The Steaks are among the area's best also. All at reasonable prices. Best Pizza Pizza - Tony's in East Stroudsburg on Crystal Street . Above all the Pizzerias in the Poconos, this one was the tasters' choice at our PoconosBest.com Tasting party where over 100 people tasted an voted on the Best Pizza. Made the same way for two generations. It's the sauce, stupid. The "gravy" on the special dishes ain't too bad either. The place gets real busy on Wednesdays ....You've been warned. 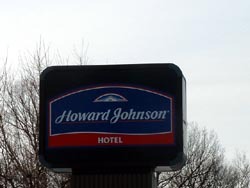 Serving the Poconos since 1966. Casual affordable dining, 7 specialty gift shops, duck ponds, info center, and more. All on 8 acres of park like setting. Bar Louis is a sleek minimalist bar and bistro offering a sophisticated menu of innovative dishes for lunch and dinner, including the famous signature Sushi Pizza. Bell' ago offers an enticing menu full of old and new world Italian recipes, popular house specialties, irresistible desserts and a large section of wines. If just the thought of a burger and milkshake has your mouth watering, then Betty's Diner is for you. Enjoy these great American classics and many more while you soak up the 1950's inspired decor. On the beautiful shores of Lake Wallenpaupack, The Boat House Restaurant has been serving delicious American fare since 1999. Open daily for lunch and dinner with live music on Friday nights. Nestled in the heart of Stroudsburg, Cherry Valley Bistro offers fine cuisine, an extensive wine list and an elegant atmosphere which combine for an impeccable dining experience. All you can eat Chinese buffet. Open year round. Breakfast and children's menu available. Buses welcome. A full service bar and grill with a late night kitchen. Great food and friendly atmosphere. Evening entertainment every weekend. Open Year Round for breakfast and lunch. Children's menu available and buses welcome. Deer Head Inn, home of jazz in the Pocono Mountains for more than 60 years, and is a nonsmoking establishment, is the oldest continuously running jazz club in the country. You'll find plenty to eat at the Fernwood Food Court including Pizza Hut, Cinnabon and Carvel Ice Cream. You can either take out or eat in for a fast food experience. Smoke free, largest diner in the area, located across from the Pocono Bazaar, only 15 minutes away from Bushkill Falls and Shawnee, Fernwood, Caesars, and Pocmont resorts. 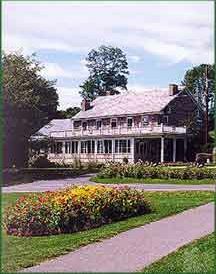 Country Inn located in Canadensis, open year-round, situated on six acres. Enjoy a hearty country breakfast with home-baked breads, fresh fruits, and such favorites as buttermilk pancakes, Brioche French toast, omelets, and sausages. Bring the whole family for an affordably priced meal at our classic dinner. Have a milkshake, enjoy one of our daily specials and go back to the time of hoop skirts and bobby socks. Roma's Restaurant. Italy comes to the Poconos at this quaint little resort restaurant. Its exclusive menu filled with authentic and mouth water regional Italian cuisine is a delight to any palate. Casual, family dining. Open seven days a week. Old world atmosphere. Prime Rib every Friday, Saturday and Sunday. Sunday Roast Duck, Seafood, Pasta, Steak, Veal, Rack of Lamb, Soup Kettle, and Salad Bar. A real country breakfast and lunch. 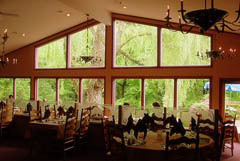 Delicious food served with a country atmosphere overlooking Lake Harmony. Adjacent to the Shawnee Inn and Tillinghast Golf Academy. Three levels of indoor and outdoor dining, two bars, a golf simulator and great food! Open April through November. Enjoy your meal while overlooking the beautiful Pocono Mountains and 9th hole of the Split Rock Golf Course. Serving delicious steaks, fish, appetizers and desserts. Since 1968, the Van Gilder family has been serving up delicious fare morning, noon, and night. Come and enjoy true Pocono hospitality in a comfortable casual atmosphere. If you think "Country Comfort Food" when you think of restaurants in the Poconos. You would only be partially right. While there are only 150,000 people who live in the mountains, we have restaurants to feed our Summer weekend visitor poplulation of up to 500,000. The difference here in the Poconos is that you HAVE to drive to get to the variety of dining options offered. A "night out" might include dinner at a restaurant in Cresco and drinks in East Stroudsburg. Prepare yourself for this and have fun!